Each of us has our own “bucket list” of places we want to visit. The top of Library manager Helen’s was Easter Island. However, it is the most remote inhabited island in the world, being over 3000km from Chile (the ‘closest’ mainland) so travelling there takes some planning. Helen says: I had wanted to visit for over twenty years to see the monolithic human carved moai for which the island is famous. Strangely enough, my desire came from when I started working in a public library, from shelving a book on Easter Island. I was intrigued by the images of the moai on the cover. The book was borrowed, and I marvelled at the statues, and from then wanted to see them in person. When Helen’s partner suggested travelling to South America for a holiday, the deal was if that was the destination, then Easter Island was on the list! Organising a flight to Easter Island from Santiago is easy, but the downside is the flight is 5 hours and requires an early morning start of 5am. Despite this, it was truly worth the journey. The Island is inhabited by less than 6000 people and the main economy of the island is tourism. There is one town Hanga Roa, which is close to the airport – walking distance even! There is great food to be had on Easter Island, especially seafood. In the mornings, you can see the fisherman selling the fish caught that day to the locals, along with locally grown vegetables, fruit and meat. If your accommodation doesn’t enable you to cook, the restaurants in town are many and varied. 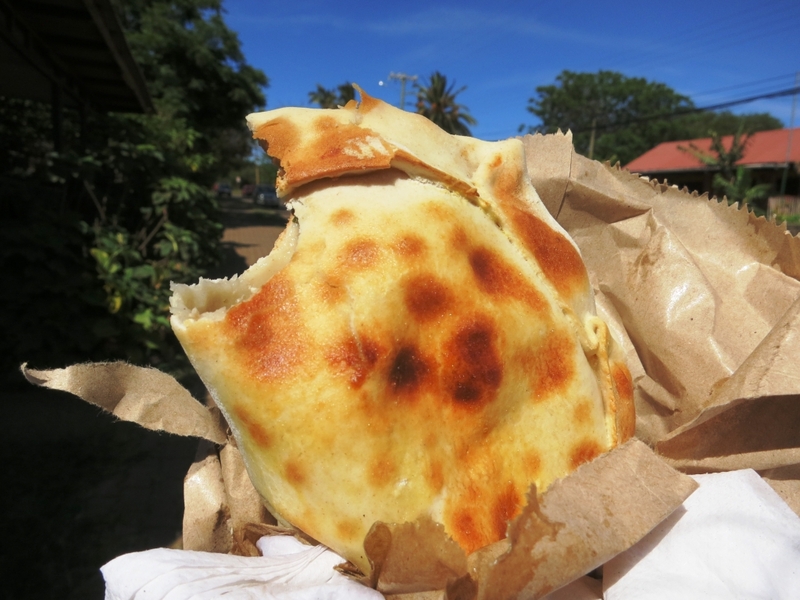 There are a few good patisseries which feature great cakes and doughnuts (filled with dulcha de leche), but they also specialise in empanadas. These are very popular especially with the locals. 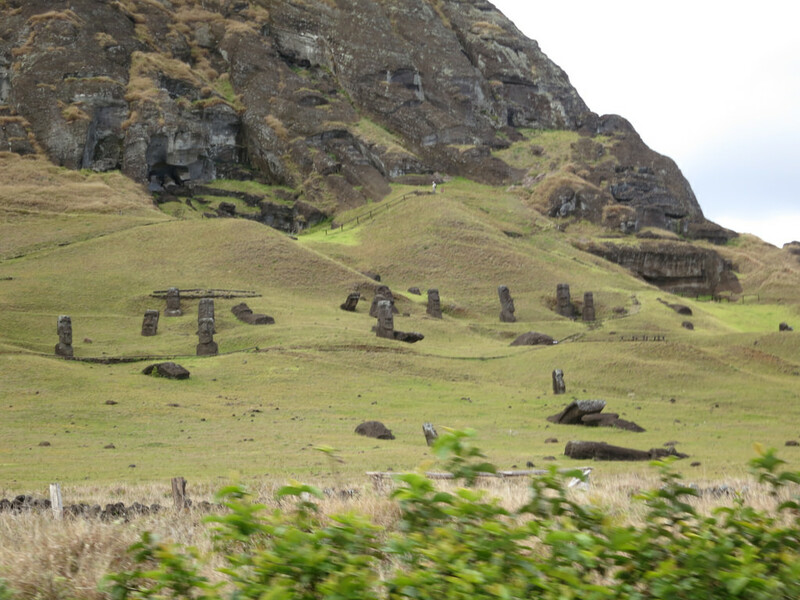 The primary reason for visiting Easter Island is of course the famous Moai stautues around the island. Helen explains to tour options: There are a couple of options, you can arrange a tour with local tour companies where you get a flavour for the history, or you can hire a car and visit any site at your own pace. Bikes are available for hire – but word of warning, if this is your preference ensure the gears can change and you have a basic puncture repair kit as you don’t want to be stuck a long way from the town with walking as your only solution. The statues themselves are truly a marvel. The best site to visit for the statues on the whole island is Rano Raraku, where they were carved from the side of the volcano. At first the site appears as if the statues were left where they had fallen over, or still in the process of being created. The closer you get the side of the volcano you can see outlines of a variety of statues which were in the process of being created. Just ensure you have good walking shoes! It definitely sounds like Easter Island is a great place to visit. 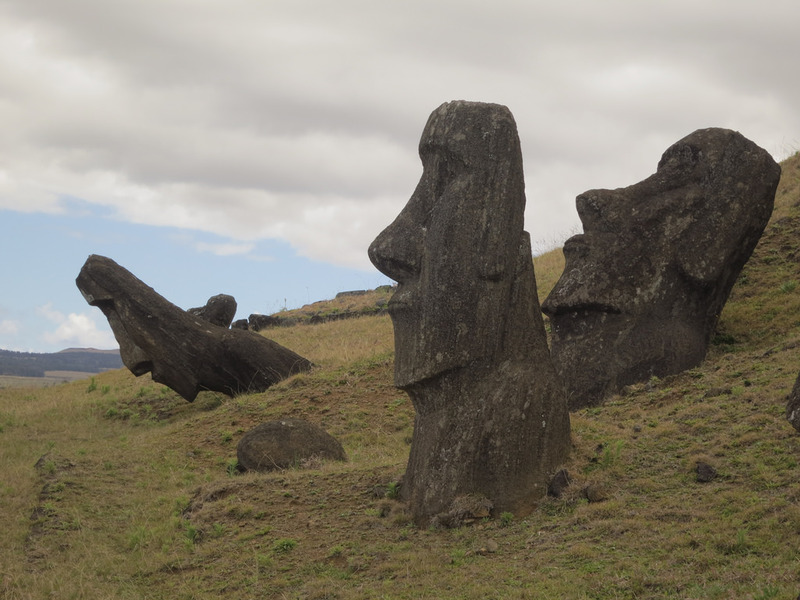 If this has sparked interest for you, start your research on Easter Island today! This entry was posted in books, staff and tagged Easter Island, Island Hopping, staff, travel, travel guides, TripAdvisor by Symon. Bookmark the permalink.